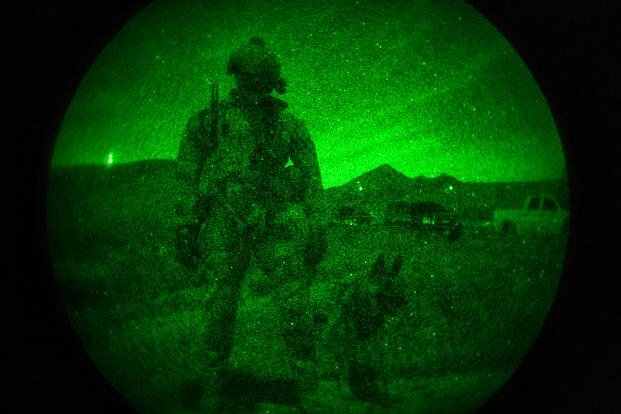 It’s not easy to become a Military Working Dog. There are harsh criteria in selections of puppies first and then follows hard training in order to be prepared for very demanding and responsible positions. 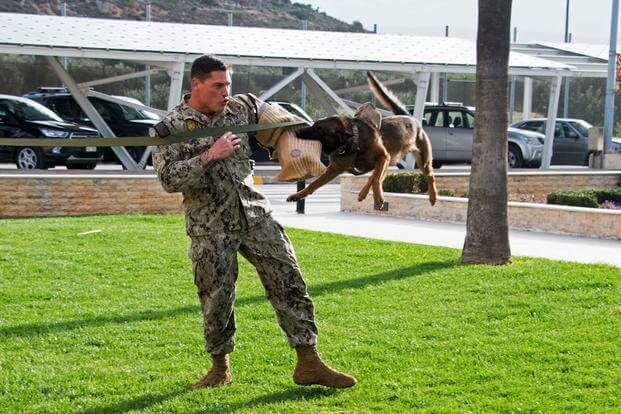 Sometimes human lives depend on these canine soldiers, so only the best of the best are capable of doing this job. 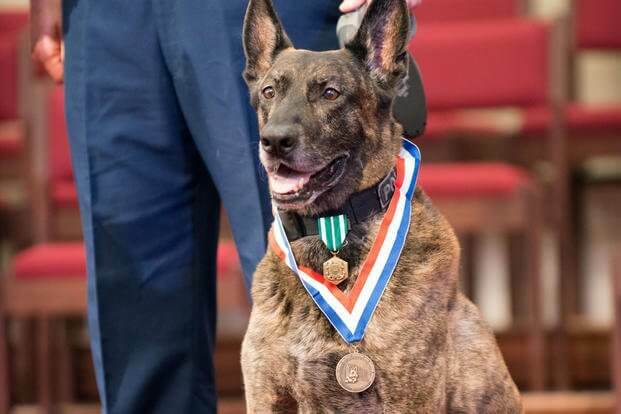 In the gallery below meet thirteen awesome military dogs with great careers in the army and great results. 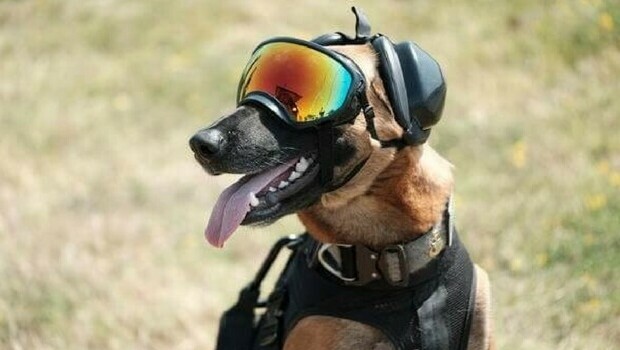 As you will see, they all also look super cool besides being super military working dogs. 1. 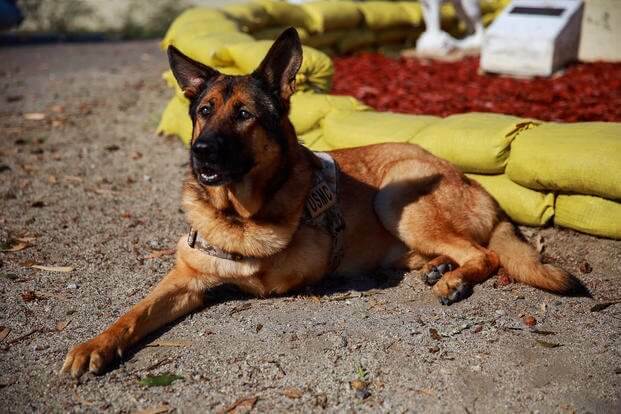 Ricky, a Belgian Malinois at Maritime Safety and Security Team San Francisco. 2. 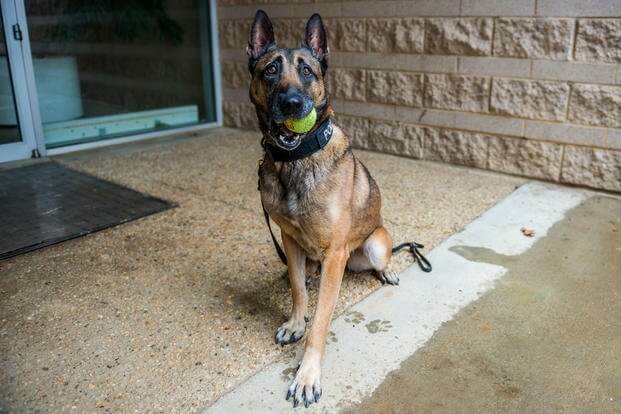 Reisja, a 7-year-old Belgian Malinois from the Department of Defense (DoD) K-9 Unit. 3. 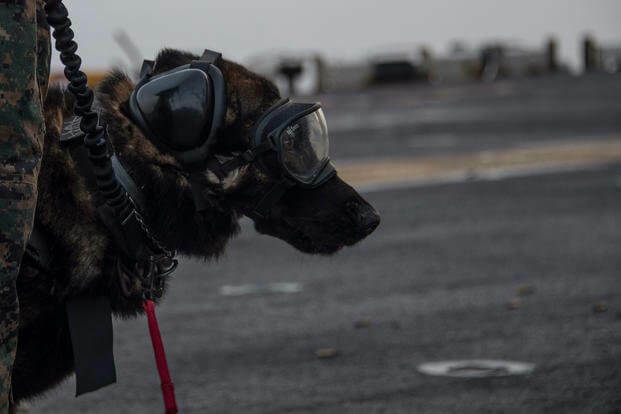 Tommy, a Chief Explosives Detection Canine. 4. Sgt. 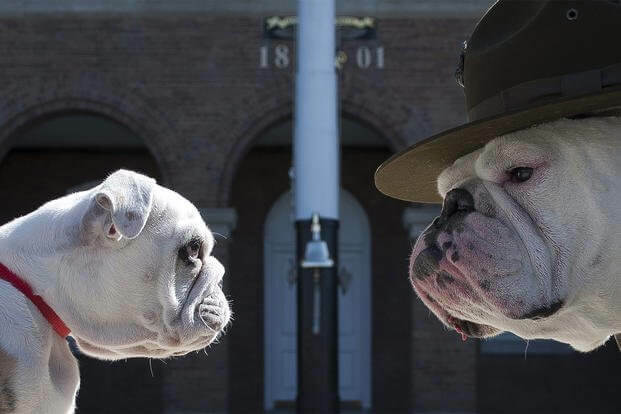 Chesty XIII, the official mascot of the U.S. Marine Corps, right, stares down his successor Recruit Chesty, left. 7. 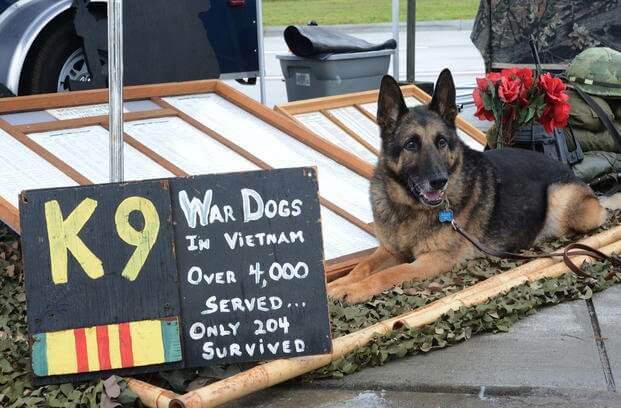 Luke, a retired military working dog. 8. 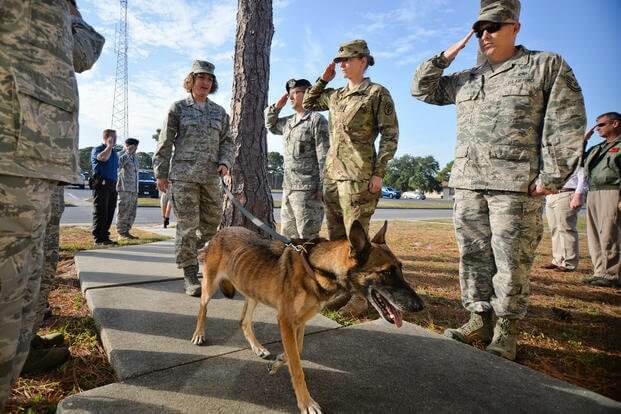 Mica, retired U.S. Air Force military working dog. 9. 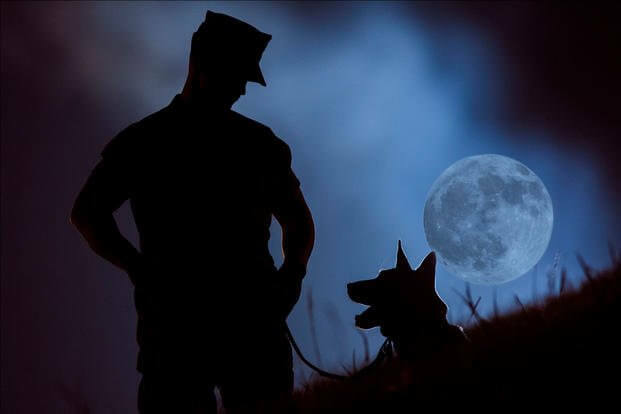 Marco, a military working dog in the U.S. Air Force. 10. 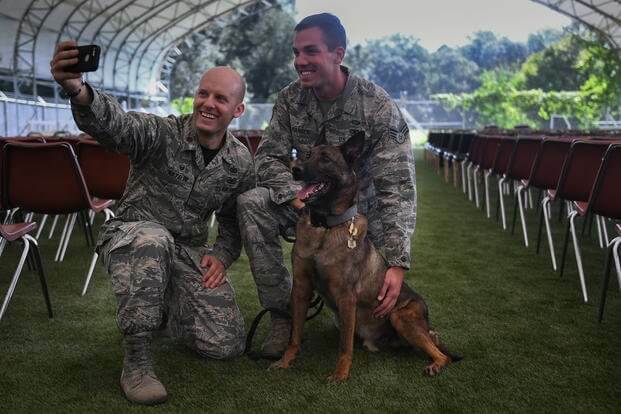 Lucca, a retired Marine Corps military working dog. 11. 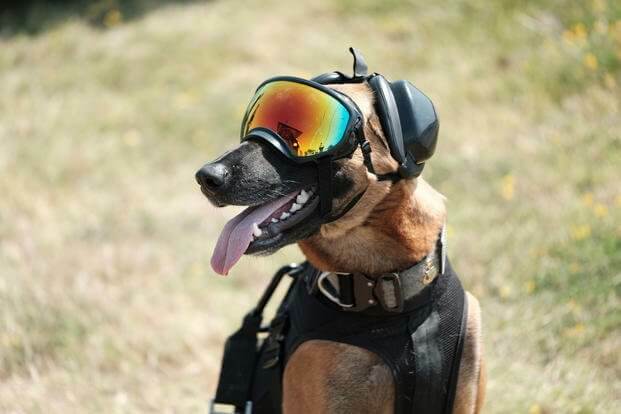 Spidey, a military working dog assigned to Law Enforcement Det. 12. 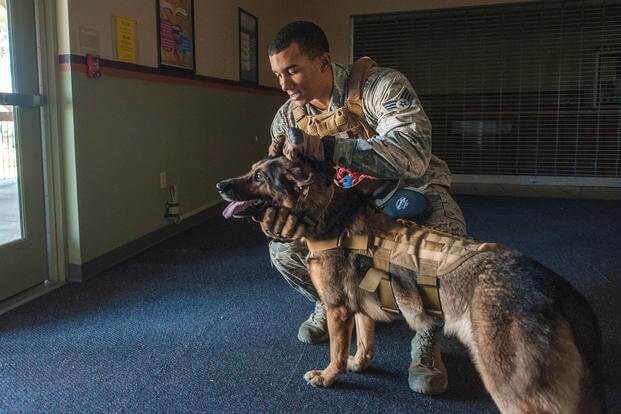 Darius, military working dog.